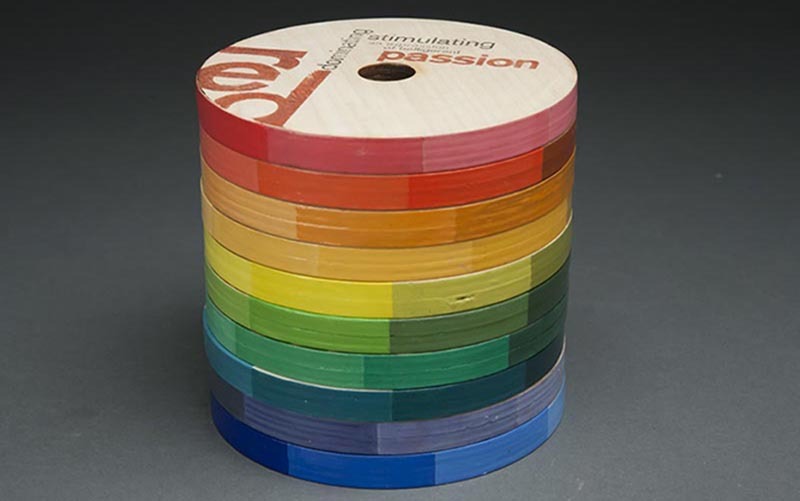 A color wheel displaying over 100 different color swatches in varying hues and shades. 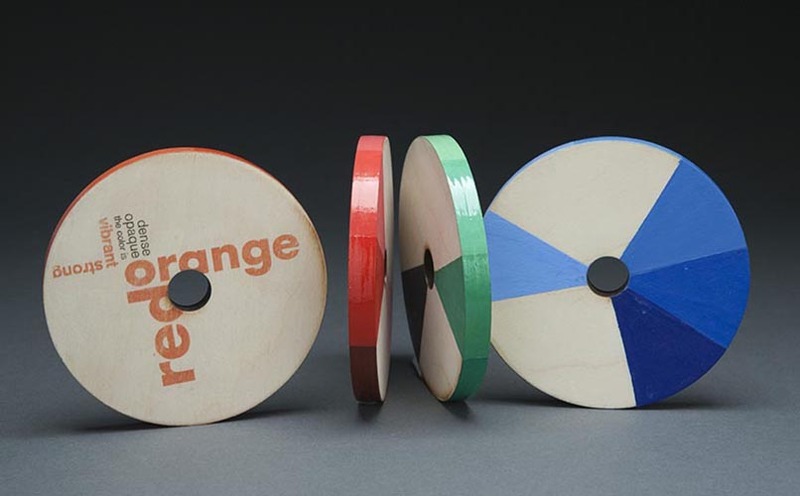 Users can explore different types of color combinations and palettes. 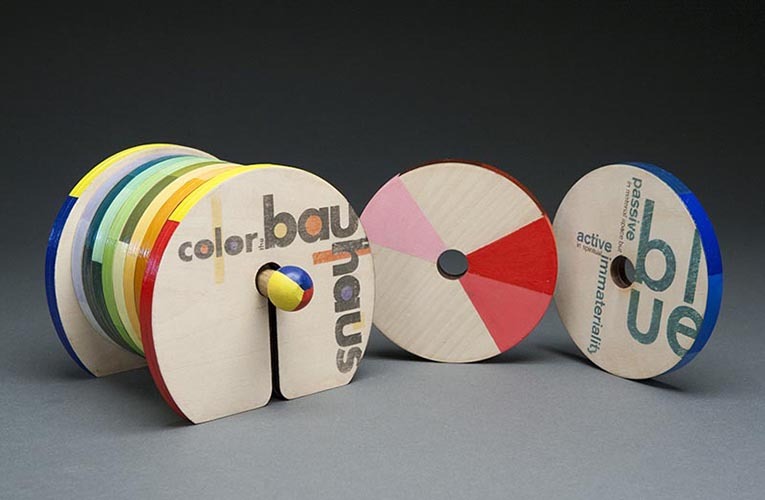 The design was inspired by Johannes Itten's study on color theory and early Bauhaus toys.